Michael J. Woodward wows judges on "American Idol." 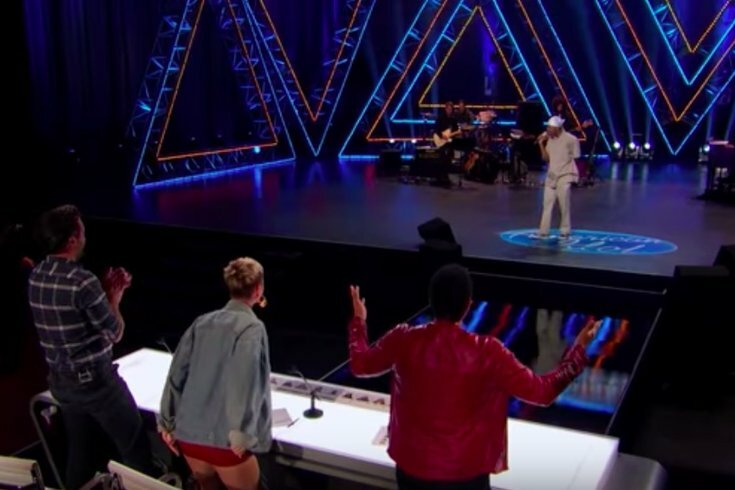 The “American Idol” reboot is in full swing as judges Katy Perry, Lionel Richie, and Luke Bryan selected the final 50 contestants to advance to the next round of competition. Woodard, who now lives in Los Angeles, first appeared during the open call and sang “Make It Rain,” garnering some performance criticisms from the judges but getting a unanimous vote to advance further, in part thanks to what Perry described as a “bright-eyed and bushy-tailed” quality that could make him a fan favorite. In the latest “American Idol” episode, we saw the return of Woodard as the cameras followed him around his day job working at a bowling alley. When it came time to perform, the judges – especially Perry – had some over-the-top, positive reactions – like Perry throwing her chair off the floor. “I feel like a star was born,” Perry said. Richie remarked it was one of the best performances of the night. In the end, Woodard was in the fateful room of contestants chosen to advance to the next round. Tonight we’ll find out if Woodard makes it a step further when the show airs on ABC at 8 p.m. In the meantime, you can check out some of Woodard’s other tunes, including original songs, on his YouTube channel.